See? See the sunshine??? Late Summer I tell ya, late summer!! It has been a glorious week full of brightness and warmth here, and I have love love loved it. ....but my toes are still out and I am a happy bunny going about my busy business this week. And boy, have I been busy. We are full into Yarndale* preparations this week as the festival opens to the public at the weekend and I am working hard with the rest of the team to get everything ready. Today I gathered together this scrumptious pile of colourful crochet and went forth with my step ladder to do crazy yarn things with twenty five lamp posts in the park. This is the third year we have decorated the park for Yarndale*, it is such a fun thing to do and the response we get from the public (of all ages) is wonderful. These yarn-covered lamp posts do a good job of guiding our walking visitors through the park to the festival during the weekend so they do have a purpose, but the fun/creative element is still a driving force for me taking this on. We actually stitch the crochet panels in place and they do stay (mostly) intact for five days before I carefully take them down again and store them away to be used the following year. Oooooooo just look at those gorgeous yarny blooms! This year I've really enjoyed helping my lovely friend Sheila with her charity project called "Flowers for Memories". This is a project dedicated to raising awareness and funds for the Alzheimers Society, in case you missed this, you can read all about it right here. The response to Sheila's request for knitted and crocheted flowers has been incredible, with more than 5,000 flowers arriving here in Yorkshire from 22 countries worldwide. It has been emotional and humbling, and both Sheila and I have been at times quite overwhelmed by it all. ...here you can see Sheila in action, working on the yellow/orange section of the display. We have spent many, many hours on this project, and this afternoon the last flower was pinned. WOW. It is a totally breathtaking sight I can tell you. I promise (hand on heart) that there will be a tonne of photos to share next week, but for now I don't want to spoil the surprise. Thank you to every one of the 400+ ladies who sent flowers, they are priceless little works of art, each and every one of them. Flowers will be for sale during Yarndale* (all proceeds go directly to Alzheimers Society), and we will be writing a full report after the festival. I'm so sorry that I've not been around so much just lately here in the Attic. I really love being a part of Yarndale* and am very proud of the lively, inspirational festival that we've created, but at the same time I absolutely can't wait for life to return to some sort of normality and for me to have time of my own to spend here again. *Yarndale is a yarn festival held over two days and I am one of the five organisers. You can find more details about Yarndale here. The flowers were a real show-stopper. And how wonderful to think each one could tell a story, if only yarn could talk. I was there, but I didn't disturb you, you were so busy and surrounded all the time. Well done, and fantastic effort, everybody! Please can I come next year? Incredibly beautiful post, Lucy! Someday I hope to be on your side of the Atlantic when Yarndale occurs -- must be an amazing event. Warm regards from very chilly Connecticut! Hi Lucy, beautiful flowers and gorgeous colors!! Those flowers are amazing. Unfortunately I couldn't go to Yarndale this year. Maybe next year. wow the flower walls look amazing. and the yarn bombing is fabulous. I would love to see yarn dale unfortunately it's a bit far to travel over from Australia so i will just have to content myself with waiting for your next blog post. 22 countries blows my mind ! How precious each and everyone of those flowers are. I would be totally humbled and moved as well. I would love to visit Yarndale, I will have to make one of my trips home to England coincide with it. Those flowers are very impressive indeed! Lucy, So lovely to meet you at Yarndale today (Sat). I wish I had had more time to chat. What a fantastic event you help to organise, so much fun! So lovely all of this. The fish are so cute. Such a great project the "Flowers for Memories" and the flowers are so beautifull, so full of life and colour. Best luck in yarndale. Have a wonderful Yarndale! I too will have to wait to experience it through your pictures. I just know it is going to be fantastic! Lucy I love that your blog is meant to be all things beautiful and instructive for those who have something in common. I love trying different foods and seeing someone else's ideas on crochet; making wonderful things out of colorful string. Is this a talent or what? I visit your site for these reasons and look forward to all things new. I find telling people that yarn bombing is 'fun!' is a little patronising (as on Facebook). It is only fun if you find it so! Personally it is moderately interesting and I am not offended by it. However,some people find such things an eye sore (looking at garish brightly coloured crochet is not pretty to them) and they see it as graffiti. Personally I don't have a stance on the actual display as I won't be there and if I were, it would be ameliorated by it being a temporary feature. I do have a view though, that any dissenters seem to be discounted as being nothing more than killjoys. Different things amuse different people don't they? That said I agree 5 days out of the year won't hurt anyone. I don't like the bolshy, defensive and distinctively tetchy tone against people who disagree however. It's rather unnecessary and I find it a little rude and inconsiderate. Other people should always be considered too. I think a thought might be given to people who have their local space taken over and upset by a surge of visitors every year. Some people like restful and peaceful environments. I am sorry that their views are not considered too. All things considered, I don't see why you should not have a display for 5 days, but a respectful attitude for those who don't like it would not go amiss. You cannot insist though that it is fun for everyone. A park is an open space provided and paid for by local people and for the use of all, not just those who like crochet! Some of the comments on Facebook about the 'whingers' are just rude. Why are only some people entitled to an opinion? Lucy, so looking forward to your photos! 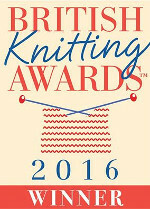 What an inspirational event that Yarndale and such a good place for it. Love to be there too. I will be purchasing one of the calendars for sure just waiting for them to be available. Wishing you a great weekend at Yarndale! I so wish Yarndale were doable for me! Living West Coast in USA - and not able to do much physically right now (and being rather 'broke!'). it's totally out of the question....but I DREAM of Yarndale...and will enjoy your photos when they are posted. I swear, next year I WILL do flowers or whatever is being asked - just so I can feel like a part of it, even if I can't make it! Best of luck to you, Lucy, and all who've worked so very hard to make sure Yarndale is just awesome! I know all who attend will not be disappointed! Ohhh I would love to be at Yarndale, but sadly not this year, so really looking forward to your photos Lucy. All those flowers are just wonderful and brought a lump to my throat. They must be magnificent all together. Have a fantastic weekend.